Has a distinctive stone appearance, while remaining lightweight and chip resistant. 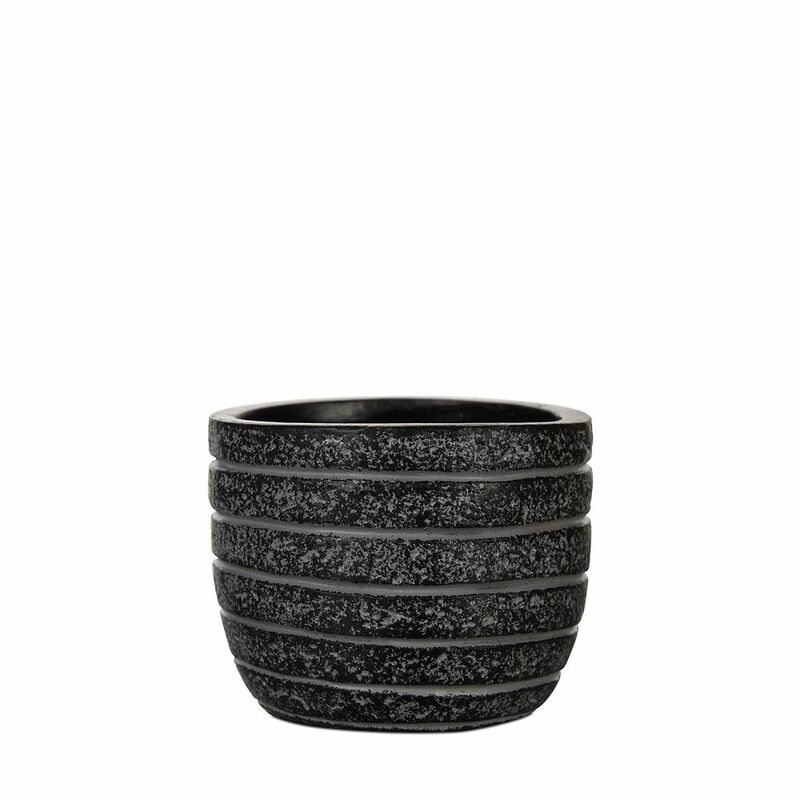 This CLASSIC 11.8-in round planter is part of Prosperplast MASSIVE CLASSIC collection. The pots are made of High Quality Polypropylene, very durable and UV resistant which guarantees unchanged colour and shape for a long time. This planter is a great addition to patios or decks. The Grapevine Lisa wicker stool is perfect for your home or your backyard. With a powder-coated steel frame and hand woven resin wicker, it can be used indoors or outdoors as a garden stool, a plant stand, or an end table. The half-round matte black wicker is frost resistant, so you can leave the stool outdoors in warmer climates. The Madrid Trellis will make your gardening skills shine. Because its crafted from premium weather-resistant vinyl, your trellis can handle healthy plant growth without breaking the structure. And forget about peeling your vines away to paint or stain, because this trellis is maintenance free. Wood will rot away, and wrought iron will rust and burn plants when the sun shines down on the black metal. Vinyl is strong and durable, so you can cultivate healthy plant growth on your trellis. We manufacture all of our products to create the look of wood without the maintenance. The occasional rinse with a garden hose will keep your trellis looking great year after year. This product comes with a 20 year manufacturers warranty against yellowing, warping, cracking, and rotting. For installation, simply sink the 12 extended post inserts into the ground. The trellis can also be a freestanding structure or privacy screen. Our detailed instructions give you all the information you need to install your trellis. Egg planter row III 5.5x5.5x5.1 inch black A stylish collection and wide assortment of beautiful planters with a modern touch and clean-lined finish while adding a welcoming refreshing touch to porches, entryways, decks, poolside and indoors.